As social media platforms are evolving, offering new features, new opportunity for branding, we need to learn and dwell on it. Let us take a pause and discuss...yes... every Wednesday 8:00 pm (IST). Ask Jyoti Live! Online session to discuss digital marketing issues and challenges. Ask questions in the comment, get answers! WHEN? Wednesday, 04 October 8:00 pm (IST) to 8:30 pm. 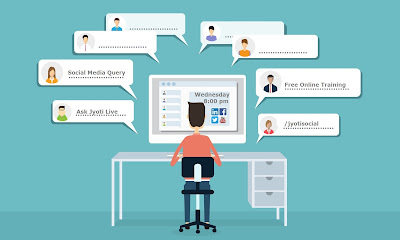 Social Media Marketing LIVE Chat! Online session to discuss The challenges and opportunities of Social Media! You do need camera or mike to participate...you may use any device or any browser! This is like a reality show...no photoshop no editing....LIVE broadcast. No rehearsal! Please share this event. Invite your friends. 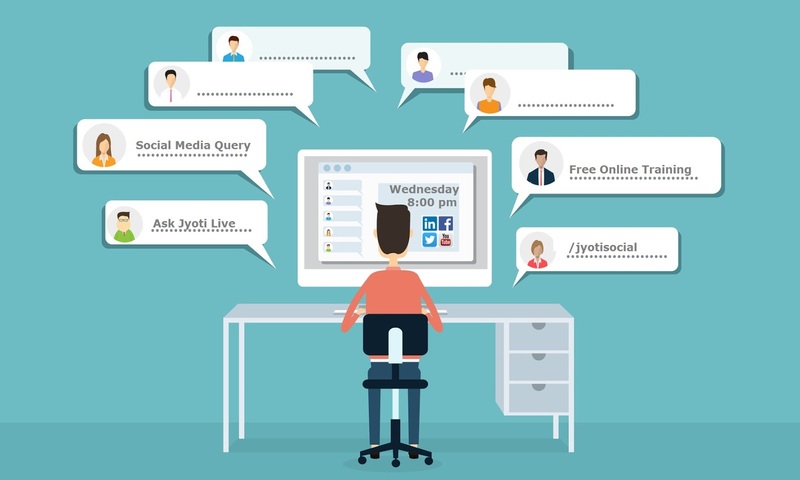 If it is Wednesday, it must be FACEBOOK LIVE Social Media chat with Jyoti. Let us discuss: How should you use social media to promote brand? Using content and the power of social media to spread your brand’s message is one of the most cost effective and perhaps most rewarding ways of marketing. Social media can work organically to enhance your marketing efforts; however, it requires true dedication and patience. Stay ahead of competition...participate actively in the discussion. I have been conducting this Wednesday LIVE sessions since August 02, 2017. This BLOG Post is published on Blogger digital platform by Jyotindra Zaveri, Social Media Consultant and Trainer.